There is nothing you can do to stop the remix powers of RAC, who are back at it once again. 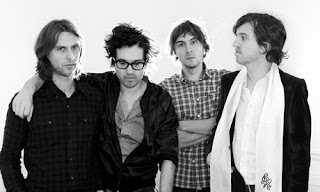 This time taking on Phoenix's more recent tune, "Trying To Be Cool" off the latest album Bankrupt!. As with all the tunes RAC remixes, this one keeps it funky, groovy, and playful -- the perfect song for this gorgeous Saturday. Yet, what can make this fun song better? It's free to download!